Arriving at a place where he knows himself both musically and spiritually, Alex has returned to the studio, this time with producer Joby Baker of Victoria, recording his second album, Agua Del Pozo, released February, 2007 in Canada. New for Alexis is the electric guitar a vintage Gibson that brings a trademark sound equal to his magnetic appearance. 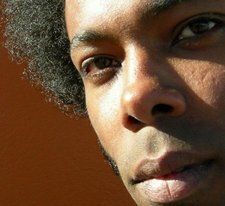 The album showcases AlexCuba as a singer/songwriter who is continuing along a path he first struck out on bridging his Cuban roots so evident in his song writing with his musicianship reflecting the jazz he studied with elements of funk and early rock.